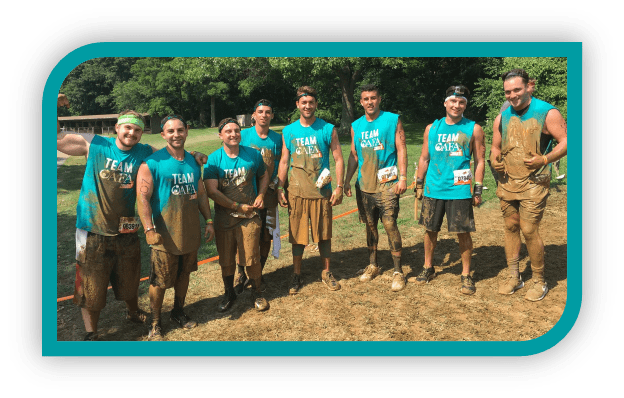 AFA has joined Tough Mudder as a charity partner where you can take the Tough Mudder challenge for FREE while also fundraising for AFA’s programs and services that support individuals living with Alzheimer’s disease and their caregivers! The Tough Mudder Challenge is a run and obstacle course testing your strength, endurance, and mindset. Thousands of participants take the challenge every year across the country and AFA is looking to add you to our team! If you would like to participate in your local Tough Mudder Challenge as part of Team AFA, please contact Christina Hall at 866.232.8484 or by email at chall@alzfdn.org for more information.